The International Campaign to Abolish Nuclear Weapons 'has been a driving force in prevailing upon the world's nations to pledge to cooperate ... in efforts to stigmatize, prohibit and eliminate nuclear weapons,' the Nobel committee says. OSLO, Norway — The Nobel Peace Prize has been awarded to an organization seeking to eliminate nuclear weapons through an international treaty-based prohibition. The Norwegian Nobel Committee on Friday announced the International Campaign to Abolish Nuclear Weapons as winner of the $1.1 million prize. 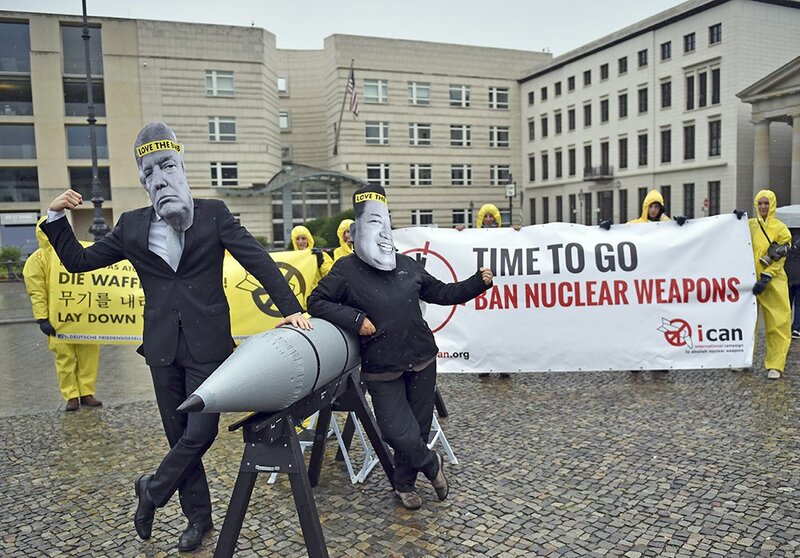 The Geneva-based organization ICAN “has been a driving force in prevailing upon the world’s nations to pledge to cooperate … in efforts to stigmatize, prohibit and eliminate nuclear weapons,” committee chairwoman Berit Reiss-Andersen said in the announcement. She noted that similar prohibitions have been reached on chemical and biological weapons, land mines and cluster munitions. “Nuclear weapons are even more destructive, but have not yet been made the object of a similar international legal prohibition,” she said.